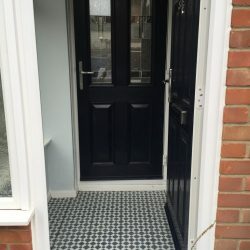 We offer a unique service to keep your home looking and working beautifully. 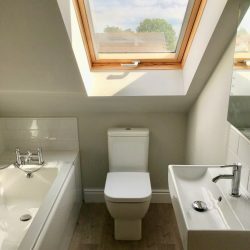 Whether it’s creating stylish kitchens and bathrooms, putting the glamour back into entrance halls, or creating your stairway to a heavenly bedroom, we can help by providing one service for all your plumbing, tiling, decorating and flooring needs. Because we do the complete job we save you time and money. 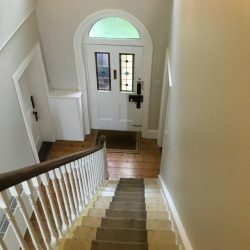 All of our work is completed by an experienced and qualified craftswoman. In our experience some of the biggest decisions about your home will be made by the women of the household, and we understand why. We help your home keep up with you and the changing needs of your family. If you have older people in the home, we can help to keep it comfortable and safe. We can give your home a fresh new look or keep the the one you love working just the way you like it. Visit Norfolk Trusted Trader to see what our customers are saying. 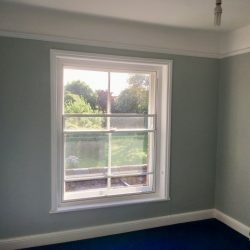 We offer a wide range of services to individuals and landlords in the Attleborough, Wymondham, Diss, Dereham, Watton, Thetford and Norwich areas. You have given us your details to enable us to help you and to provide you with quotations and invoices. If we are not able to help you we will not keep your details. 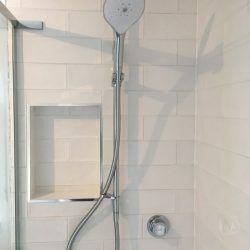 We offer plumbing repairs and new installations. 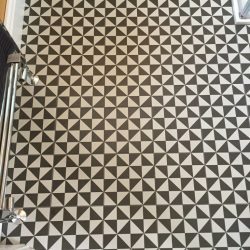 We have over 30 years experience in decorative finishes to help you create the space you desire. We make use of the latest technological advances in paints to provide you with durable, long lasting, smooth finishes. Many traditional gloss paints yellow with age, but our low-odour acrylics stay brighter and allow you to use your rooms the same day – even your bedroom. 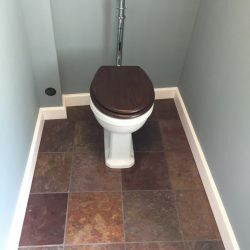 Floor and wall tiles provide colour and texture together with a practical wipe clean environment. We can provide you with the look you want with the quality you deserve. We will ensure your walls are appropriately treated to prevent moisture and damp penetration. We can even help you to get 20% discount at selected tile stores. Tiled floors are tough and long lasting. They create dramatic entrances, beautiful bathrooms and practical kitchens. 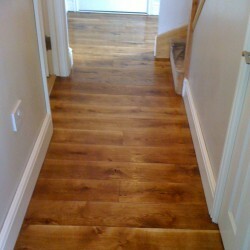 Real wood and laminate floorings provide the settings for the rest of your home. 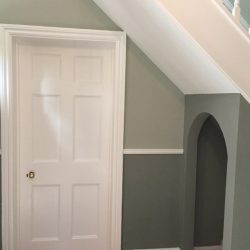 It could be the finishing touch or the starting point of your colour scheme, but it is likely to be the enduring feature of many makeovers in it’s lifetime. We can help you to achieve the look that will be admired for years to come. 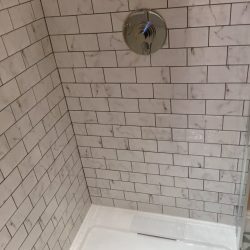 KC Plumbing and Decorating Services is owned and run by Karen Craig. 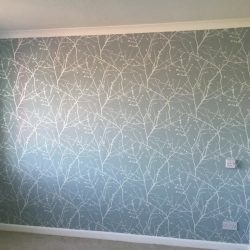 Karen started decorating after leaving school, and following many word of mouth referrals she set up her London based business in 1983. 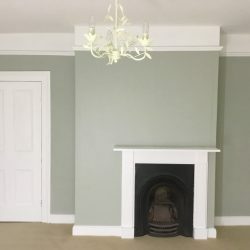 She worked extensively in the large city homes of Kensington and Chelsea and became skilled at restoring period properties to their former glory. Following a move to Norfolk in 2002 Karen found her talents in high demand for historic and contemporary homes alike. 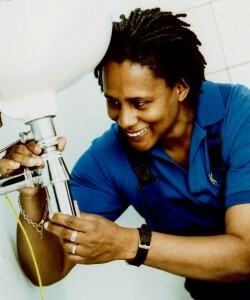 Karen is also fully NVQ qualified in domestic plumbing. 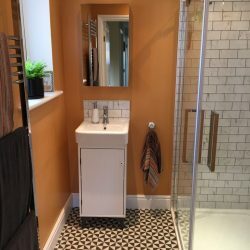 Current trends for designer radiators and taps means that she can update the whole look of your rooms with more than just paint. She can also repair or replace your failing or outdated fixtures too. 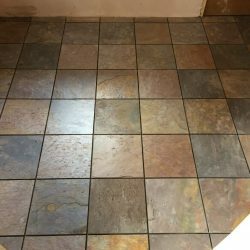 In addition to this she is an accomplished tiler and can also lay most types of hard flooring. 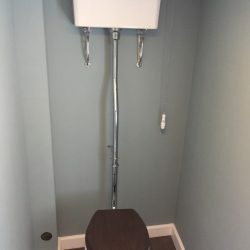 KC Plumbing and Decorating Services was established in 2012 and joined the Trusted Trader network in 2012 to offer our customers greater peace of mind. 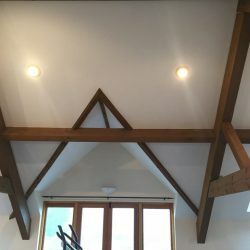 Visit Norfolk Trusted Trader to see reviews from some of our customers. 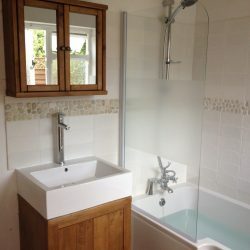 Replaced bath taps with a new mixer/shower unit, large hand basin for a smaller one and updated pipes and fittings. Fitted an outside tap. Replaced kitchen tap. 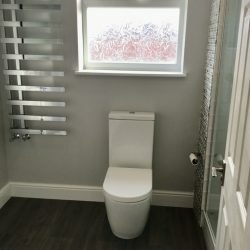 Replaced leaking cistern, toilet pan, pipework, flooring and wall tiles. 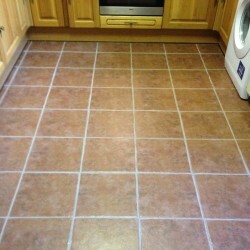 Re-laid floor and re-tiled the walls. 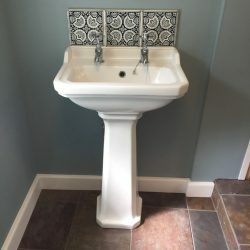 Fitted new basin and taps. Redecorated the walls, ceiling, door frames and windows. 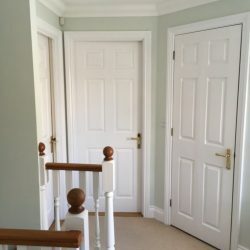 Painted lounge, stairs, banisters and landing, 4 doors and frames, ceiling and skirting boards. 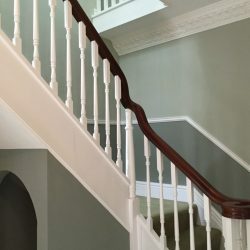 All woodwork prepared prior to painting.